The BERETTA M951-R is somewhat the forerunner of the world-famous BERETTA M93-R. It was a selective-fire version of the M951, a machinepistol. It was heavier and longer, a vertical foregrip which was foldable (or completely removable) for better concealement (even if the missing of the foregrip led to poor steadiness during full-autofire), and a selector switch placed on the right of the receiver. 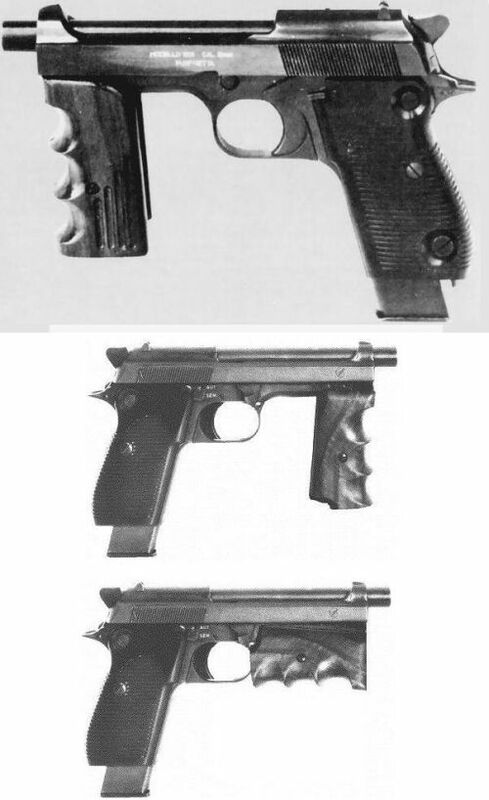 Unfortunately, such as for its heir, the M93-R, the M951-R was bounded to oblivion: the BERETTA M93-R was made in less than 3000 exemplars, and was not officially adopted by ANY Armed Force or Law Enforcement Agency anywhere in the world, and the M951-R wasn't more lucky. It is however known that the elite forces of the italian Military and LE received stocks of both of those machinepistols, though them are currenty supposed to be kept in the arsenals.